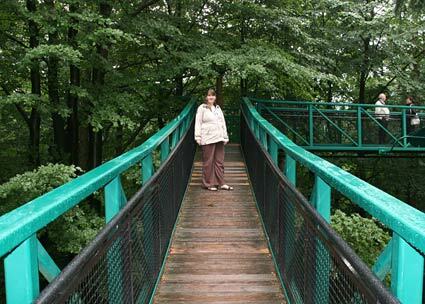 Last Sunday we visited Boomkroonpad (‘Tree Top Path’), a 2,500 hectare (6,000 acre) forest preserve in Drenthe, here in the Netherlands. 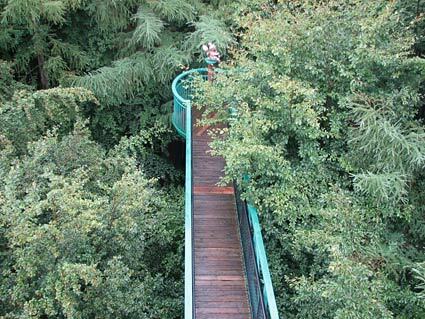 The main attraction at Boomkroonpad is a path of 125 meters (410 feet) through the tree tops, reaching a height of 22,5 meters (74 feet). 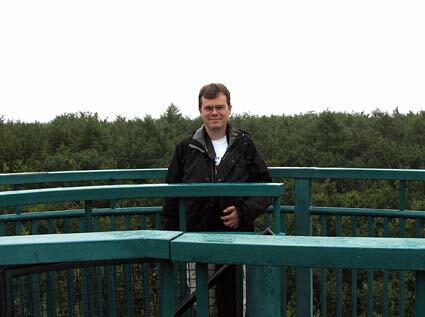 Unfortunately it was pouring down on our visit and we didn’t see any birds or wildlife. But still it was an extremely fun walk that we will need to do again once when the weather is better. 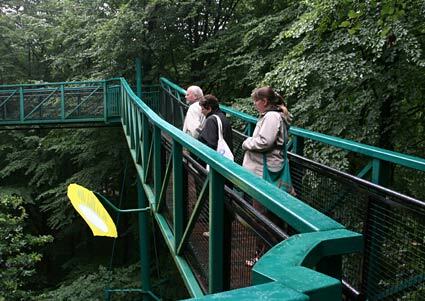 There is also a very nice visitor center with shop, restaurant and lots of activities and trails. 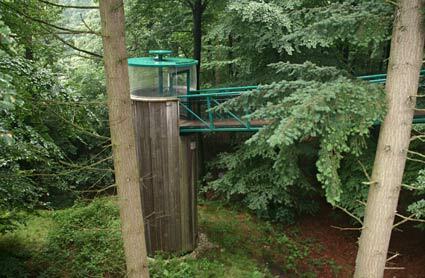 At the end of a small underground exhibition area a round staircase brings you up this tower into the trees. 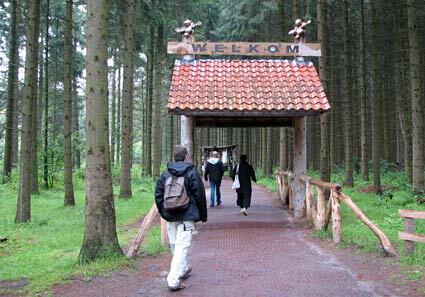 This entry was posted on Thursday, August 2nd, 2007 at 8:32 pm CET and is filed under Life in Holland, Nature, Travel	with tags drenthe, Nature, netherlands, Travel, trees. You can follow any responses to this entry through the RSS 2.0 feed. You can leave a response, or trackback from your own site.